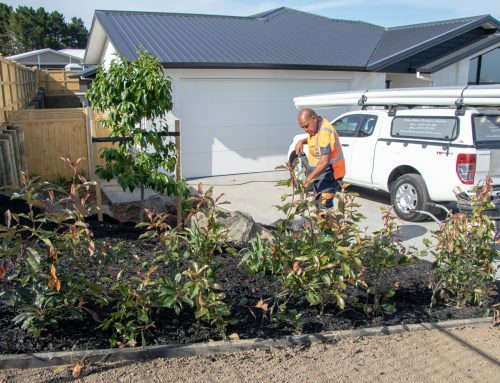 “If you’ve got something that works, you don’t go away from it.” – The Neil Group on our Landscape Construction division. 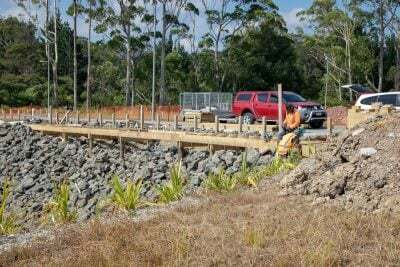 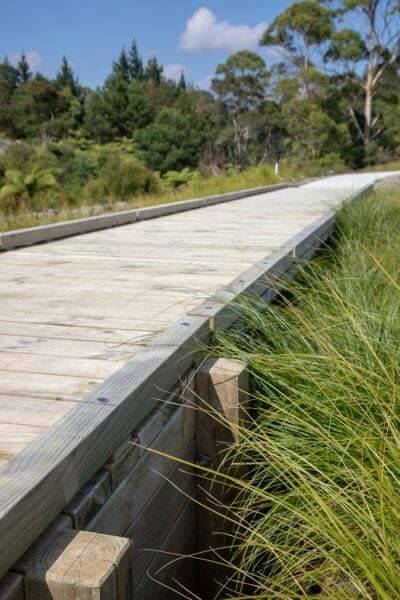 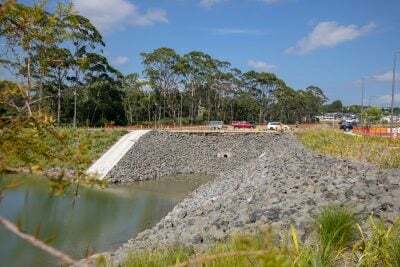 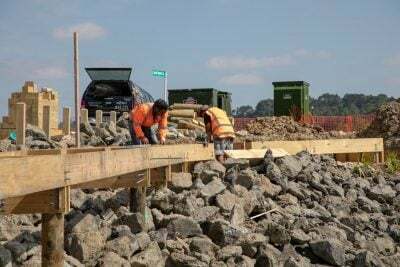 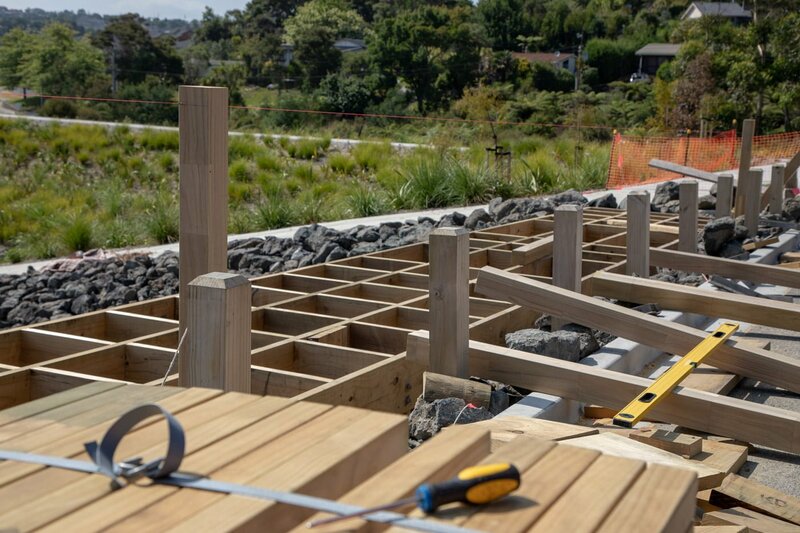 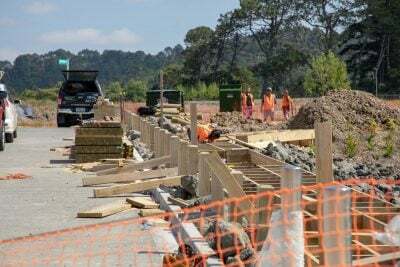 The Plant People’s Construction Division is building boardwalks, footbridges and stormwater ponds for new residential developments around Auckland. 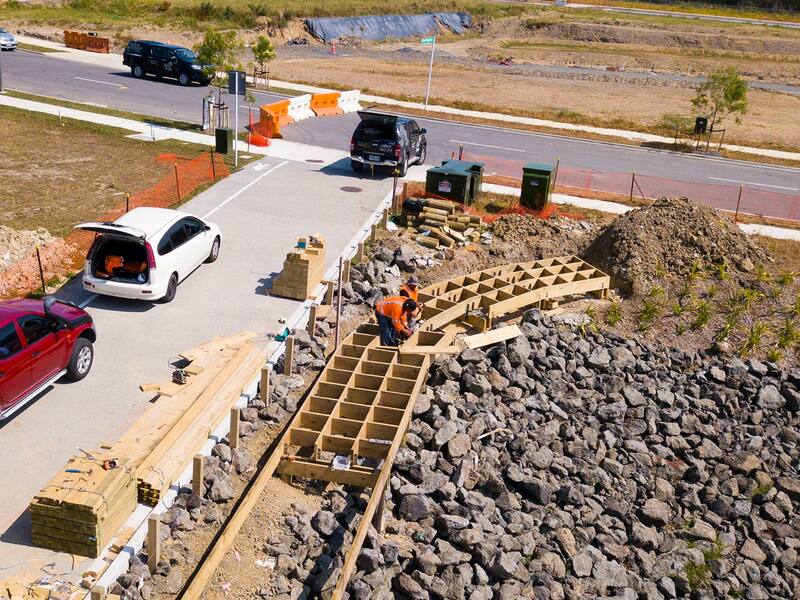 These large-scale landscape construction projects are often a requirement for developers when a new subdivision is created. 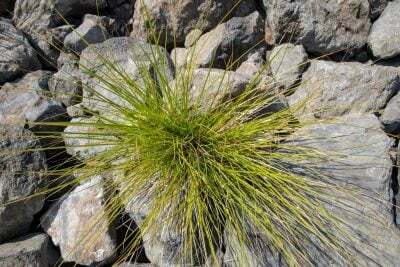 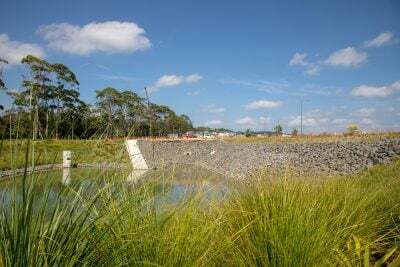 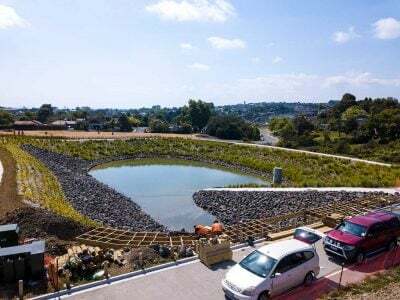 Stormwater ponds are there to capture rainwater runoff and, planted with native wetland plant species, their function is to filter the water before is ends up in our waterways and eventually into the sea. The ponds become home to wildlife such as pukeko, white faced heron and ducks. 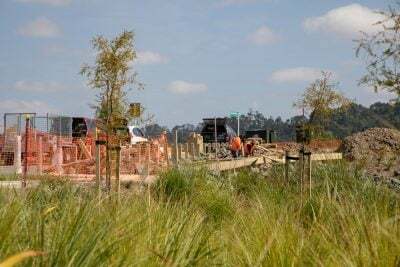 Beyond that, the ponds present an opportunity to create an attractive outdoor recreational space for the eventual residents of the new subdivision. 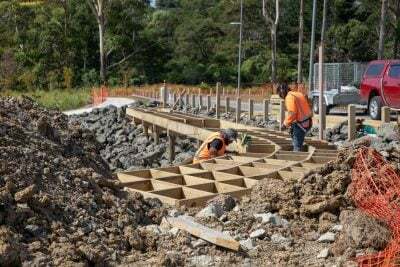 Typically a construction project like this will take around three to four months to complete, depending on size and complexity. 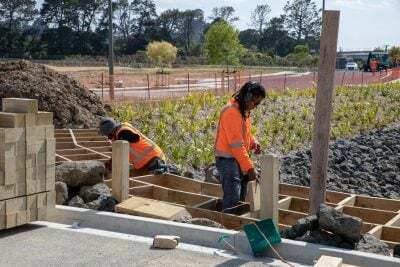 The Plant People has a crew of 10 in their landscape construction division. 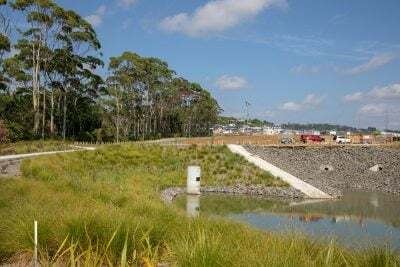 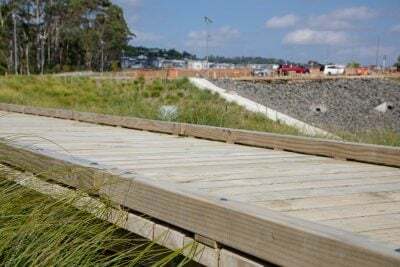 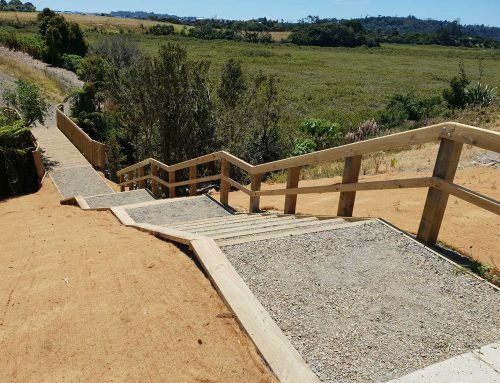 They’re finishing up one such project in Hobsonville, and are well underway with the stormwater pond and boardwalks for Fletcher Living’s Swanson development. As well as these residential developments, our team has built “pocket parks” to enhance existing developments. Pocket parks are where we transform a public green space into a user friendly outdoor space, and can include garden beds, pathways, boardwalks and bridges, digging tree pits for tree planting, installing picnic tables and playgrounds. The gallery below showcases the dual purpose stormwater pond and public recreational space at Swanson. 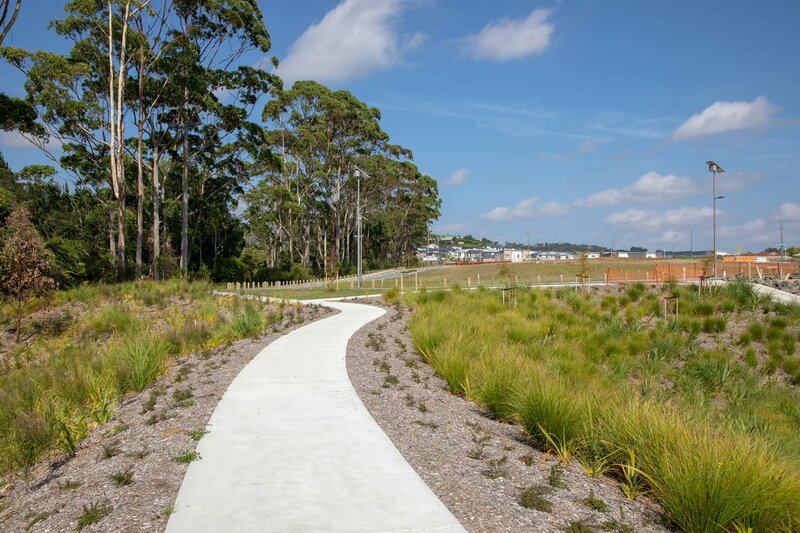 This project is being developed for Fletcher Living by The Neil Group – one of New Zealand’s largest land developers. The Neil Group has contracted The Plant People to supply their landscape construction components at Swanson. The Plant People has enjoyed a long association with them thanks to our high levels of quality control and expertise. 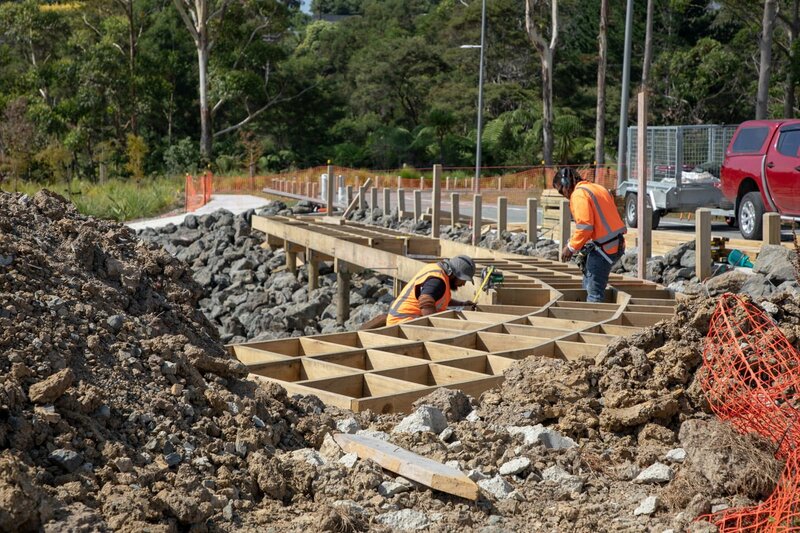 Hayden has been working alongside The Plant People for a decade. “When we need something done, we make a phone call and things get done. 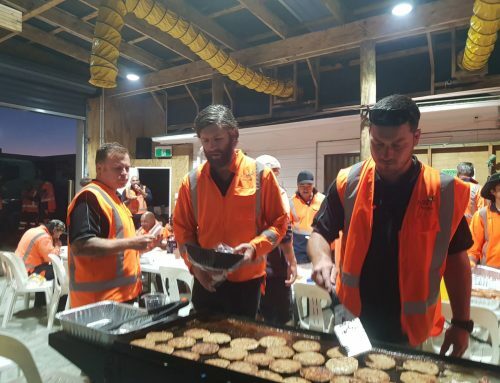 We’ve never had any issues in 10 years. If you’ve got something that works, you don’t go away from it,” Hayden continues. 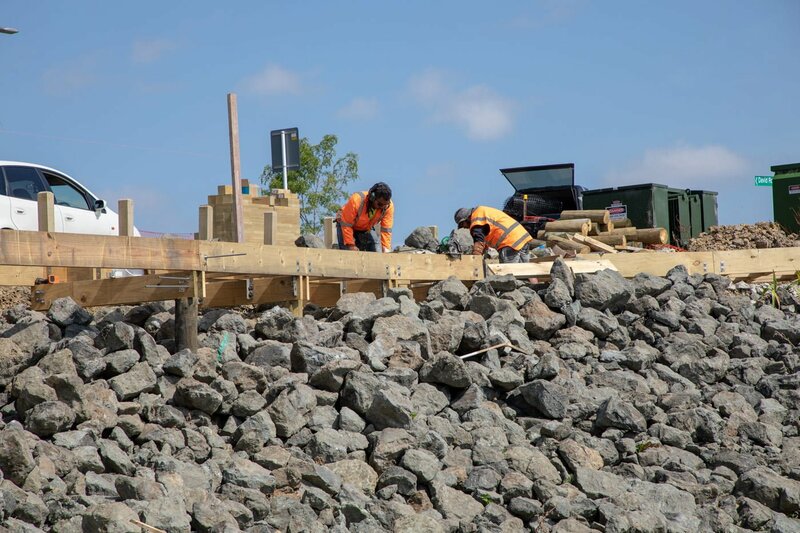 If you’re looking to partner with a reliable landscape construction crew, let’s talk!